Sand washer can clean separation of sand stone powder in the soil, its novel sealing structure, reliable transmission device, ensure that the cleaning dehydration effect, is a kind of efficient use of sand washing equipment. 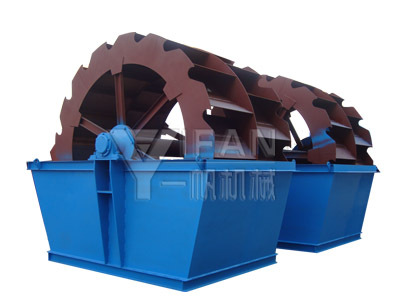 Sand washer can be divided into two types: XS sand washer and XL sand washer. Adding water at the same time, form a strong current, to take away impurities and the proportion of small foreign body in time, and from the spillway trough eduction, complete the cleaning effect. Clean sand by the leaves away, and finally into the sand from rotating impeller discharge chute, complete sand cleaning effect. sand washing machine Characteristics: The sand washing machine machine structure is simple, the impeller drive bearing device with water and the water isolation material greatly avoid the bearing damage phenomenon caused by flooding, sand and pollutants. sand washing machine has obvious advantages:structure is simple, maintenance is convenient;large quantity, low power consumption; less vulnerable parts consumption and low use cost.